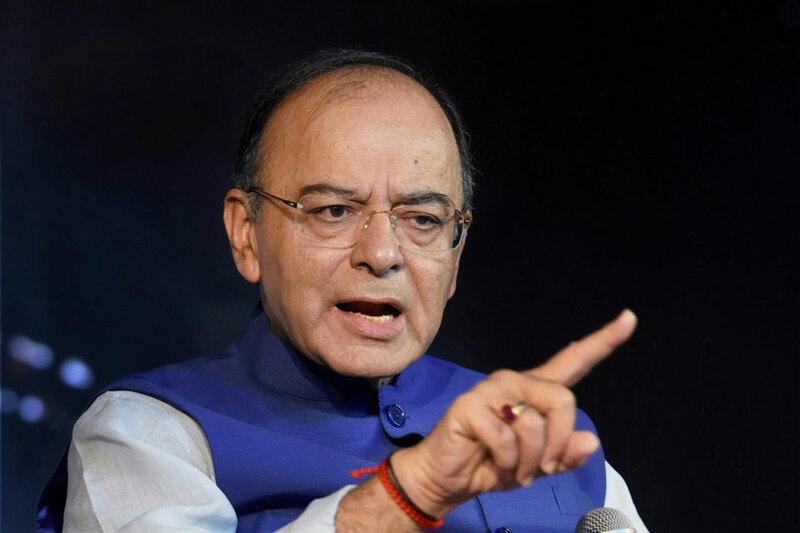 Ahmedabad, Nov 26: Union Finance Minister Arun Jaitley on Saturday targetted the Congress for its tie-up with the Patidar Anamat Andolan Samiti (PAAS) and other groups for the Gujarat elections, saying the party has "mortgaged" itself to those responsible for spreading "anarchy" in the state for the sake of winning more seats. The senior Bharatiya Janata Party (BJP) leader pointed at leaders responsible for different agitations in Gujarat like Patidar quota stir spearhead Hardik Patel, Thakor community leader Alpesh Thakor and Dalit leader Jignesh Mevani, without naming them. "The Congress stands mortgaged in the hands of those who can now spread only anarchy," Jaitley said, addressing a press conference. Jaitley said as Gujarat has already come out of such anarchy, there is no question of it going back in that direction because the price for that would be very costly. He said that Gujarat was a "development-liking state". "So we think, there is governance and stability at one side and anarchy on the other side. The two combinations are the representatives of Gujarat elections." The Minister took a dig at the Congress, saying "the combination under its leadership is the representative of those anarchists". "Perhaps, this is the reason that the Congress leadership has distracted from its way. The result of the distracted path is that leadership of Congress is not based on any fact, but to raise imaginary subjects like saying that 17,000 schools decreased in Gujarat which is a 'safed jhooth' (complete lie).